the ideal cost-effective choice for office use. The 90ec is rugged; fast and durable. It will give you years of trouble free use. 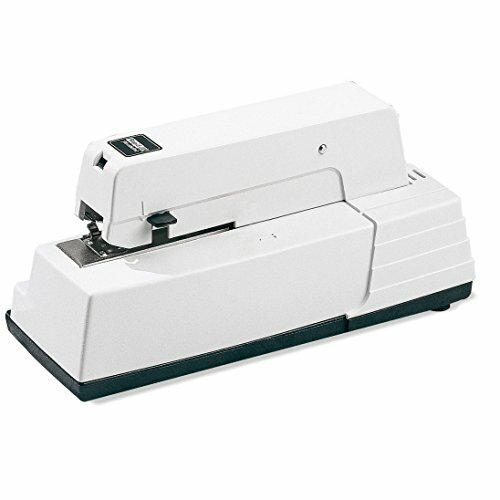 Compact front loading electric stapler for full-strip with adjustable anvil and staple depth. The magnet drift makes the 90ec very fast (about 1/100 second). Fits in well by the copying machine in the office. Stands stably on a rubber mat. If you have any questions about this product by Isaberg - Rapid, contact us by completing and submitting the form below. If you are looking for a specif part number, please include it with your message.